UniSA and DXC Technology partner to offer an IT Honours degree with a 12 month paid internship. 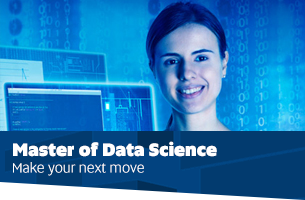 Become an expert in Big Data and follow one of the anticipated careers of the 21st Century. 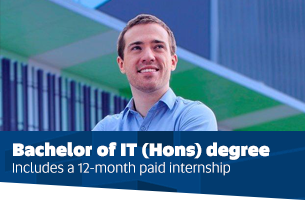 The School of Information Technology & Mathematical Sciences is one of the largest information and communications technology provider in South Australia, and is regarded as one of the leading applied mathematics departments in Australia. We offer undergraduate, honours and postgraduate degrees in information technology, mathematics, science and data science. Our programs emphasise the development of critical thinking, creativity and hands-on learning to produce graduates who are in high demand. We are also home to several research centres: The Advanced Computing Research Centre, Centre for Industrial and Applied Mathematics, Institute for Telecommunications and Phenomics and Bioinformatics Research Centre. All three have state-of-the-art facilities with world renowned links and associations that provide a dynamic teaching and research base for our students. Tap into our worldwide research network, highly skilled researchers and talented students. Explore your pathway to a PhD, or get in touch to discuss opportunities for collaborative research or consultancy.